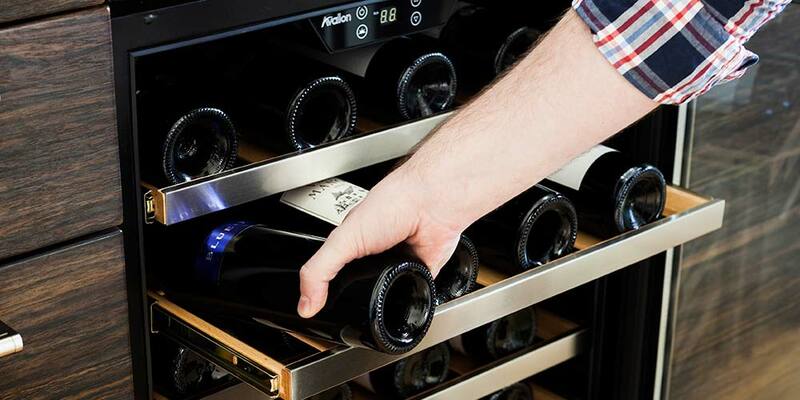 If you are in the market for a wine refrigerator you have probably seen differences, bottle size, thermoelectric vs. compressor, but what is the real difference between freestanding and built-in and how does that affect your decision? Can you identify the difference between these units by just looking at them? In order to build in any appliance under a counter you need proper ventilation to avoid over- heating. 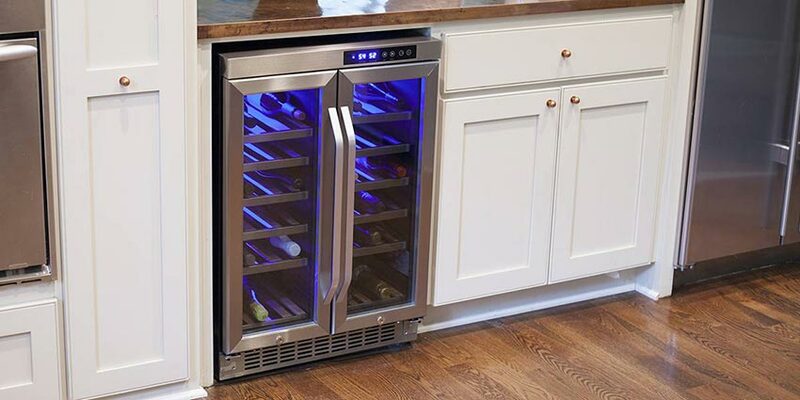 A wine cooler that has a front vent allows you to build-in, where as if it has side or rear ventilation you need adequate space on the sides and rear for the heat given off by the unit to dissipate. Another important difference is the dimensions of the wine cooler. Built-in models are built to the same depth as adjacent kitchen counters and other fixtures so that the wine cooler is flush with your cabinetry. Freestanding models may be at odd sizes, so they won’t fit perfectly under a counter top. 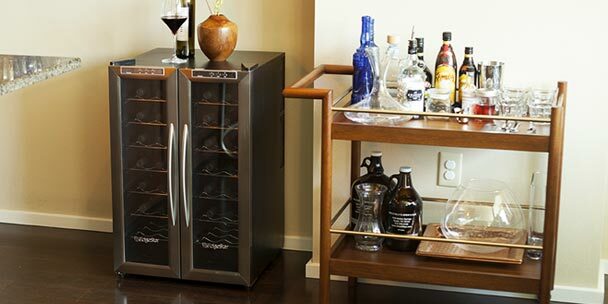 There are pros and cons with each type of wine cooler. The biggest pro for a freestanding unit is typically it is lower in price. A big pro for the built-in unit is it gives you more options for placement as it can be installed into your cabinetry or placed freestanding. No matter which you decide is right, you will be all the merrier toasting with a wonderfully chilled glass of wine! Related Post: Can a freestanding wine cooler be installed under the counter? This site is fantastic. All of these articles really helped me pick which wine cooler we want to order. I have been looking for a built in, dual zone. Thermoelectric wine cooler. I have been unable to find it. Do they make them? Can you suggest a brand? 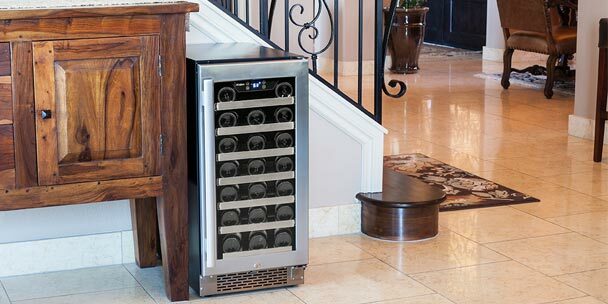 I am looking for a freestanding wine cooler and I welcome your suggestions. It would ideally hold 48-60 bottles. It can be as wide as 48″ and as tall as 36″. It needs to be attractive, as I live in an apartment and it will be against a wall at the end of the living room, adjacent to the dining area. It also needs to be as quiet as possible. I am on a budget, so cost will matter. Please let me know what you reccomend. I’m looking for a 22 inch wide wine cooler. Any one know where I could get one with this width. I am looking for a cooler that holds wine and beer with a cabinet/furniture exterior. Varying widths okay, as I have different places to put it if I find the right fridge. Can you advise please?